Thailand’s most lively beach resort area is spread out over a magnificently beautiful bay. Conveniently located near Bangkok it has a long history of tourism. Pattaya is a must for people seeking for an exciting and sophisticated wedding location. The seafood and the nightlife here are legendary and the islands close by offer a lot of fun opportunities. 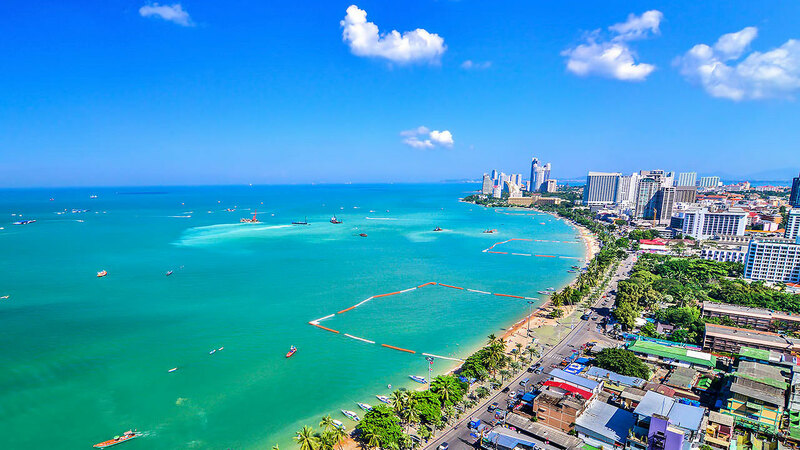 Pattaya is the perfect setting to make your dream beach, garden, island, waterfall, Buddhist temple, private villa, yatch, sunrise or sunset wedding and honeymoon come true with Thailand’s leading specialists in romantic destination weddings. Buddhist Blessing Ceremony : Have a traditional Thai wedding in one of Pattaya’s Buddhist Temple and be blessed with good luck, good love and good life by the monks. Pre Wedding Packages : Many places in Pattaya offer amazing view and location for the perfect background for your photos. Extraordinary service with the super professional team of photographers will make your Pre Wedding Photo Shoot day an unforgettable one.